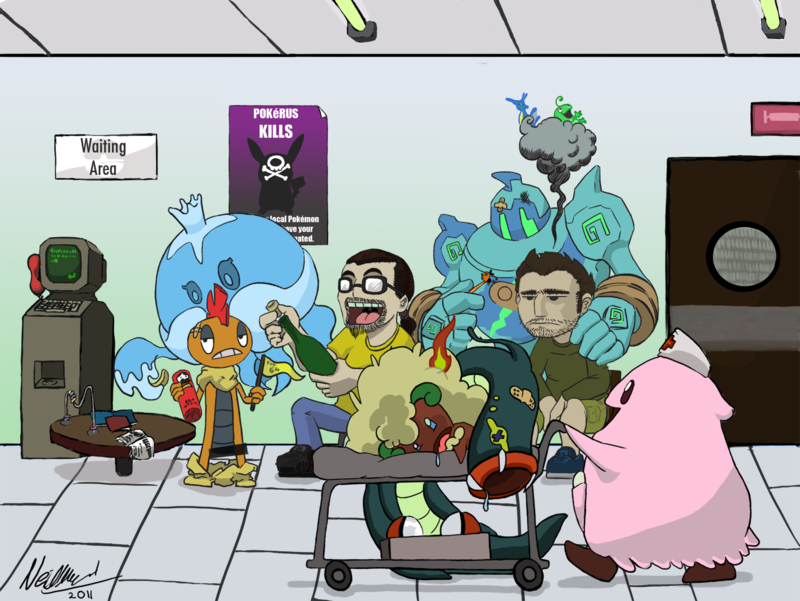 for the inimitable Chris Seed on his birthday- an in-jokey picture of the imagined aftermath of this year’s Pokémon tournament we took part in. One of us did better than the other, clearly ;). Happy birthday mate!